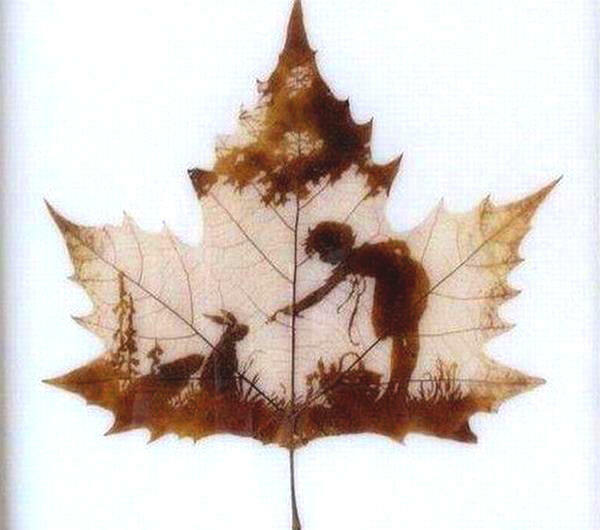 Leaf Inspiration: A transition from autumn to the realm of pure mystery and magic.I don’t know who created the following image or how they created it (so apologies for the lack of credit), but it’s beautiful and it did inspire the recipe at the end of this blog post…………. Speaking of transition, I had the great pleasure last week of meeting up with Tamzin Pinkerton who, amongst many other wonderful things, writes for the food pages of a new Transition Network newsprint initiative: Transition Free Press. It’s a really good and informative read, with excellent contributions from many well informed people such as Shaun Chamberlin of Dark Optimism. Local Food: How to Make it Happen in Your Community, by Tamzin Pinkerton and Rob Hopkins. Although one could say it was written primarily to inspire, motivate, and provide food for thought and action for those already in or influenced by the transition towns movement, it should, does, and hopefully will inform and inspire anybody who cares to think about food in the context of sustainable living. Whether in the context of food or in other contexts, I think there can be a tendency to view talk of sustainability with suspicion, as being all right and good, but somehow all too worthy, earnest and humourless. That’s why the book is so good, because Tamzin shows quite the opposite, clearly demonstrating how thinking and acting in the realm of local and seasonal food is simply dam good creative and inspirational fun. Not only does it connect us more closely with our own deepest needs for friendship and cooperation with new friends and collaborators, it also connects us to the natural world in a fundamentally nourishing and grounding way. I read the book four years ago and dipped back in to reread some of the contributions. I also reared my own and was amazed, staggered, and surprised! Incredibly unusually for me, I actually still agreed with every word I had said! 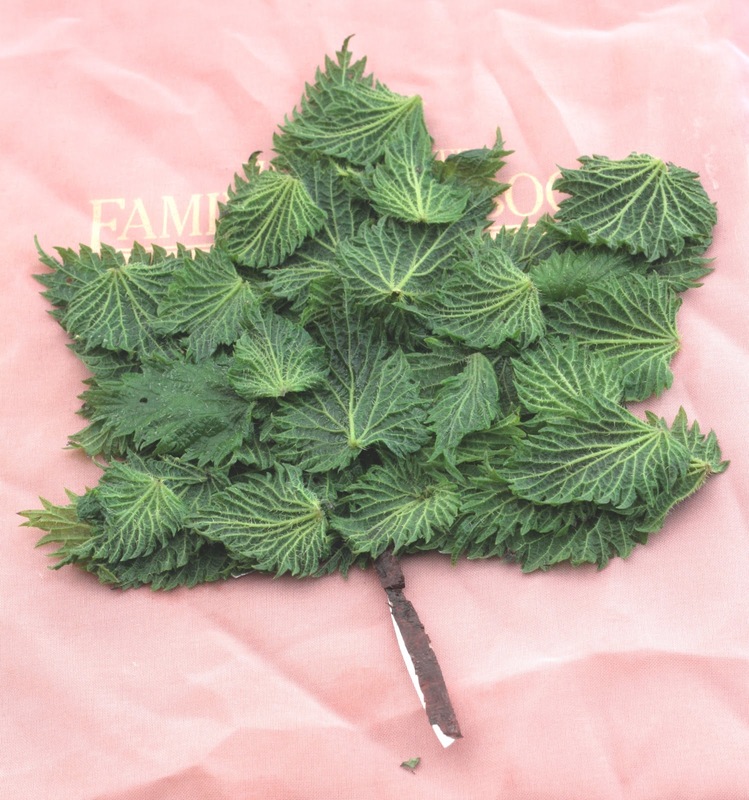 I include the short piece below, followed by a video I recently made with James Wood (my collaborator on The Foraged Book Project) about the wonderful Jelly; and finally a seasonal recipe using that gorgeous wild food plant the stinging nettle (although there’s also a chocolate mushroom recipe in the video too). Eating wild food plants on a regular basis can improve your mental and physical health; diversify and enliven your daily menu; give you a really grounded sense of place; facilitate a deepening sensitivity to the environment; save lots of money; help you make new friends and, of course, facilitate spiritual enlightenment! Wild food defines who we are. Throughout the vast sweep of human history, until relatively recently, our food has been none other than wild; our lives being orchestrated entirely by natural rhythms, the cycles and seasons, as we hunted, gathered, and engaged in humanity’s oldest occupation: foraging. Foraging wasn’t the mere search for food but an all-embracing lifestyle based on a respectful and reciprocally positive engagement with nature. A healthy, vibrant and flourishing outer environment was contiguous with the health of one’s inner world. Although we have mostly lost that connection, (in part due to the unsustainable dictates of a fossil-fuelled existence), foraging is a way of relearning how to reap the benefits that flow from a direct and intimate communication with nature: a practical, experiential, environmentally responsive and exploratory conversation with the natural world and our proper place within it. The great wild-food adventure begins, of course, with plant and habitat identification, with the spring virility of the tree-sap harvest, the bliss of seaweed-searching seaside summer sun, autumnal mushroom mists and the frosty grubbing for winter roots. Of the A-to-Z of the hundreds of wild foods potentially available throughout the seasons many are simple to find, identify and prepare, while others require patience, persistence and a great deal of effort. Being skilled in the art of preservation and storage are also time -consuming, but deeply rewarding. Freezing, drying, pickling, bottling, brining, fermenting, smoking, etc. serve not only to preserve foods gathered at their seasonal best but also to provide the opportunity to create a colourful and kaleidoscopic range of foods unique in both texture and flavour. For me personally, the greatest wild discoveries arise when going beyond simply substituting one or two ingredients in conventional recipes to eating nothing but wild food for entire days, weeks or months. The question then becomes how to get/make the essential and not-so-essential ingredients completely from scratch: bread, wine, salt, water, meat, flour, mayonnaise, houmous, pasta, vinegar, cakes – or, simultaneously, and more scientifically considered, how to obtain a healthy balance of protein, fat, carbohydrate, vitamins and minerals. Take that biblically classic staple, bread, for example. In the absence of wild wheat, what and where are sustainable flour substitutes to be found – sweet chestnuts or horse chestnuts, acorns or rosehip seeds, reed-mace rhizomes or arum tubers? These are abundant resources, yet some are extremely toxic if not correctly processed when transforming them into flour so research, experimentation and creativity are needed. No wild non-wheat flours contain gluten, so seaweed extracts can be incorporated into chestnut and acorn bread dough to provide sufficient structural integrity to hold the finished bread’s crumb structure. 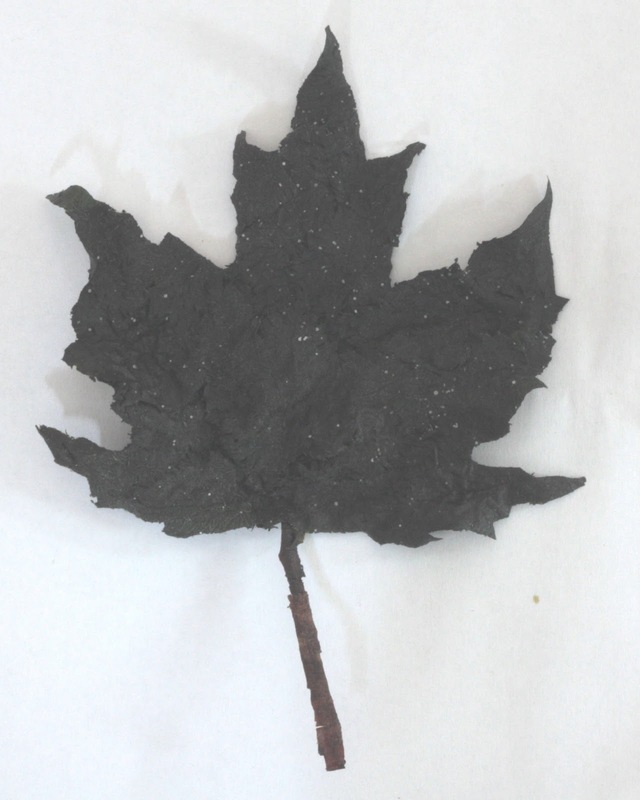 Excess seaweed can be used for composting and the chestnut shells used for smoking seaweeds and other foods. Indeed, a sweet syrup can be obtained from the chestnuts prior to the solid residue being used to make flour, or acting as a chickpea substitute for wild-garlic houmous! Foraging can be a joyful, reflective and deeply meditative experience either as a lone pursuit or in the company of friends. Indeed, working together helps to turn what may have seemed like wild-food chores into seasonal acts of ritual and celebration, such as opening a tasty stash of dried seaweed or sipping a potent glass of sea-buckthorn juice collected months before. In company, foraging tasks can be completed in a fraction of the time, providing an opportunity for play and debate, as well as the experimental exploration of innovative and sustainable food projects. 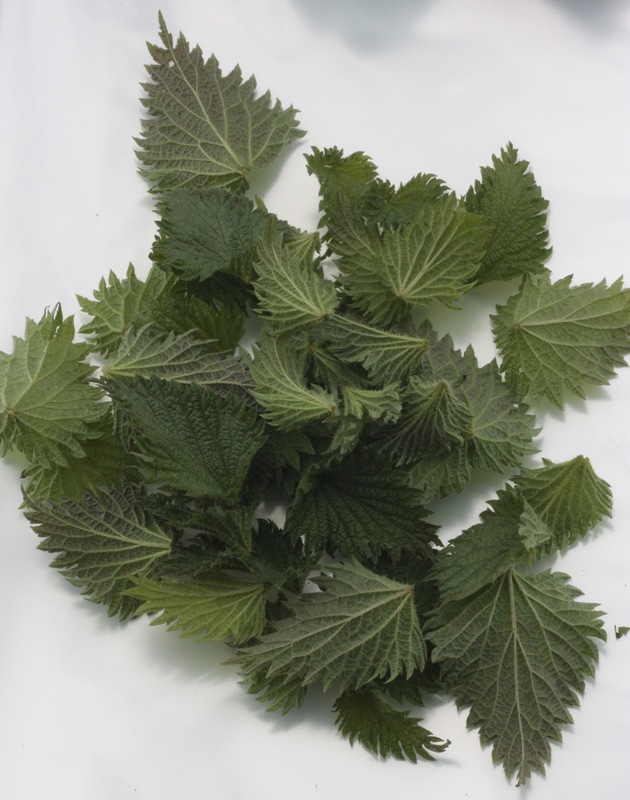 The small-scale, community-level extraction of high-protein leaf curd from the leaves of nettles, wild garlic, mallow and others is just one example of sustainable, wild-food production that I am convinced has a crucial part to play now and in the future. A number of pioneers are already leading the way. While foraging allows us to fully exercise our inherent creativity, imagination and sense of play, it does, like any activity, carry its own inherent risks. In order to feel vibrant and alive it is crucial, in the first place, that you remain alive. Following one simple rule will definitely help: don’t consume any part of a plant unless you have identified the plant with a hundred percent accuracy; you know that the part you wish to eat is edible in the condition in which you’ve harvested, prepared or stored it; and you are sure that it is not contaminated with pollutants. With a wealth of traditional knowledge as well as a constantly growing database of scientific research to explore, such a rule has become both increasingly easy and, due to the sheer volume of research, difficult to follow. If, like me, uncertainty appeals to you as an integral part of the attraction of foraging, and you choose not to follow this rule as strictly as sense dictates, may I half-jokingly and half-seriously suggest that you publicly document your triumphs and catastrophes (assuming you are well enough to do so). That way, others may learn from your experience and potentially fatal mistakes. Wild food use, to remain sustainable, must be seen as simply one aspect of the collective endeavour to live and eat sustainably. Through mindful foraging and other slow, low-impact and reflective ways of procuring our food, (such as growing our own), we subvert the notion that food is a mere object or commodity, a barcode and bleep at the checkout, grown, graded, packaged, priced and distributed according to systems over which we have little influence or control. Foraging sustainably with an emphasis on quality over quantity, and food feet over food miles, can be seen as a radical act of rebellion against the current petrochemical-based systems of greed, excess transportation, packaging, waste and all-round general insanity associated with our industrial food system. By collecting just enough, just at the right time, just in the right place and with just the right company, foraging becomes an intentional act to embrace change and the eternal transition, with resilience, hope and growing wisdom. 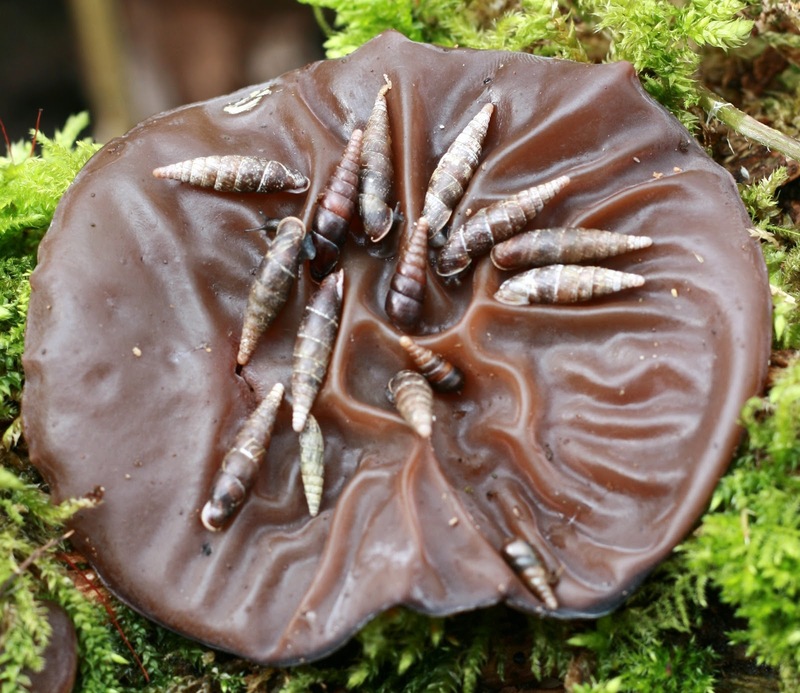 Jelly Ear fungi are the epitome of local, seasonal, common and readily available wild foods. Not only that, but they are incredibly versatile, being good for a wide variety of savoury dishes, as well as the odd (in a good way) sweet concoction. And yet they can also be used medicinally as well as in a number of other unusual ways as I describe in the video. But, remember to leave some for the snails……. 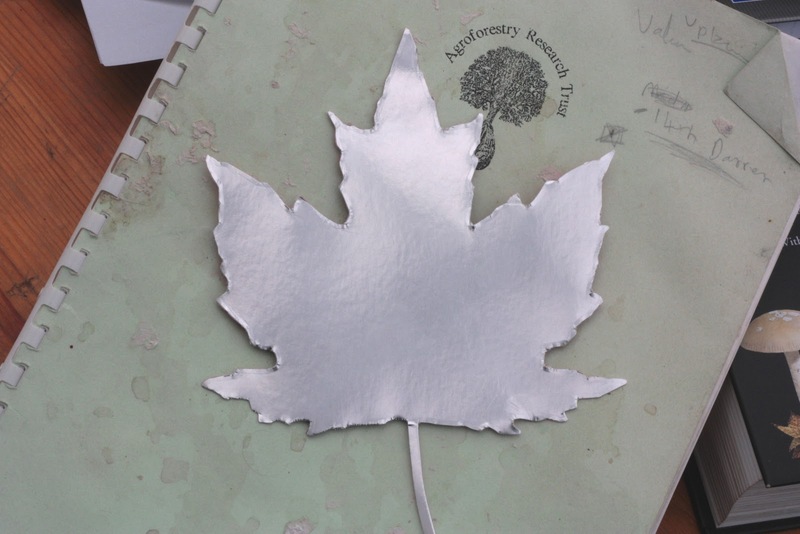 Find and oil a maple leaf in good condition or (second best) cut out a shape on card. 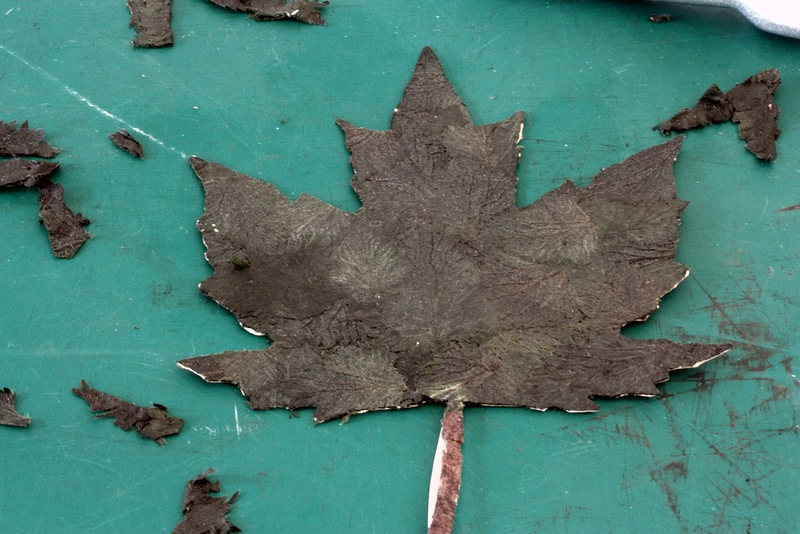 Steam leaves for a couple of minutes and lay over pattern (2 layers). Cover and press for an hour or more. Remove from press and flip over. 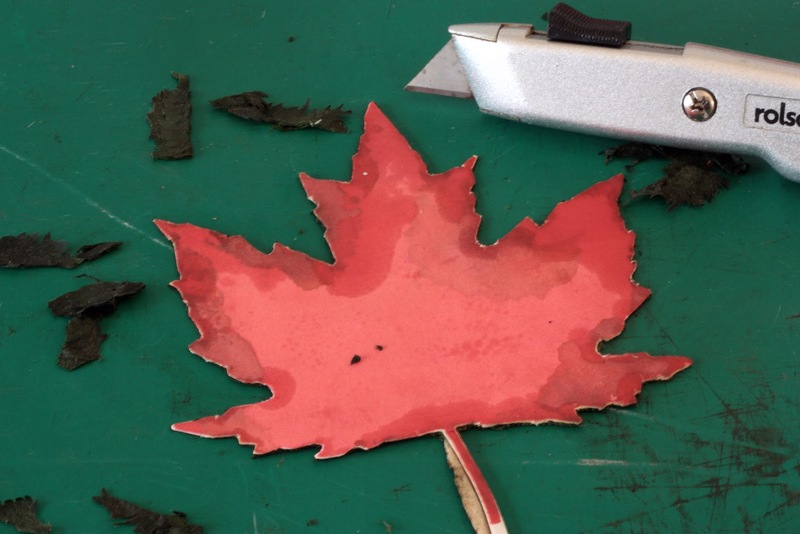 Use a sharp knife to trim the edges. dry flat with a thin weight on top, or dry as it is to get a crinkled effect……..
Now, after 2 hours work, eat it in 2 seconds! 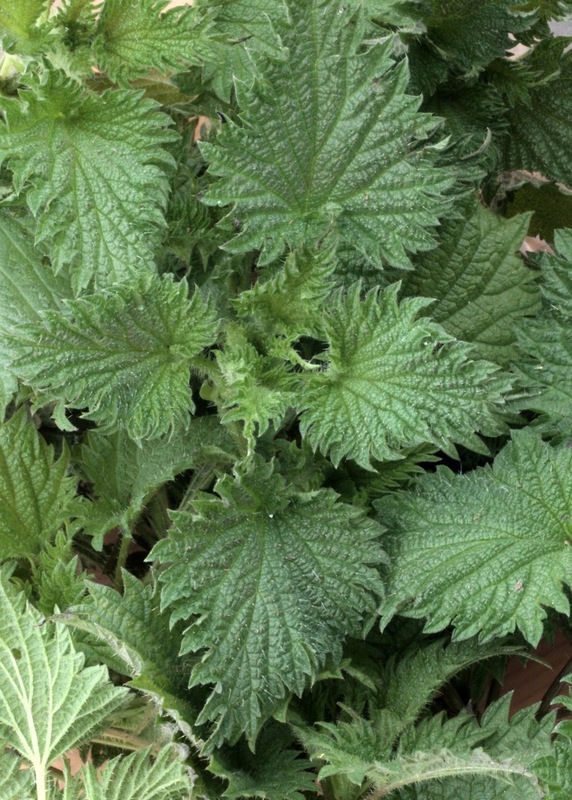 Any yet, there is another but…..
It’s March; it’s cold; it’s raining, so there was no glorious warm sun to dry the leaves for this recipe. I used a food dehydrator, and that worked extremely well. On the other hand, one of my key motivations, apart from celebrating creativity and playfulness for its own sake, is to explore the extent to which wild food can be put to good use as part of a more sustainable life style, and that includes good n hearty rustic fare cooked over an open fire as well as more elaborate creations. Of course, a mass produced electric food dehydrator has nothing whatsoever to do with living a sustainable life style, except perhaps in a transitional sense. To that end, when I have an idea I look around me to see what I have available to make that a reality. Okay, 5 years ago I bought an electric food dehydrator so I’m gonna use that initially. 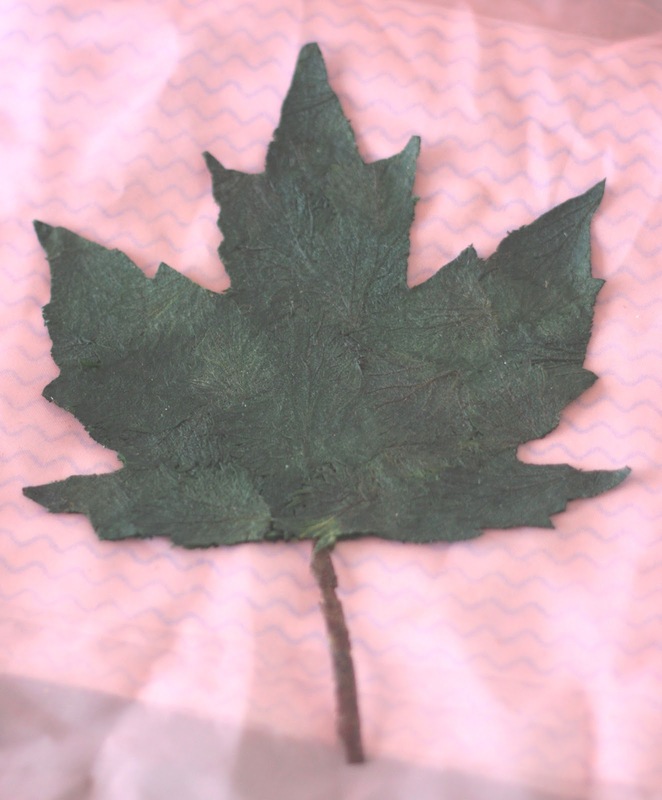 It’s great for all sorts of things: drying leaves for herbal brews, making fruit leathers, drying fungi etc. So yes, it can be excellent for making maximum use out of locally sourced and abundant wild foods. All the while though I’m thinking of steps to make the same projects more sustainanble. To that end, back in the autumn I got a copy of Permaculture magazine (no.73 autumn 2012), as it has a really good article by John Adams on how to build a solar food dehydrator (using plans from an American design taken from the book The Solar Food Dryer by Eben Fodor). Even here though, for sustainability to really have any meaning, one has to consider very carefully about soucing materials. Ultimately, dehydrating on tree stumps and hot rocks is the perhaps the most sustainable way! As we transition from life styles that are completely unsustainable, to ones that are more sustainable, to ones that are long-term and fundamentally sustainable, it can be useful to think more systematically about the levels of sustainability in all things we do. To that end I give the last word to Mark Boyle. In his latest book The Moneyless Manifesto, he sets out a useful and systematic way to orchestrate ones thoughts and actions in this regard, according to what he calls POP model: Progression Of Principles. And, like all good moneyless initiatives this idea, as well as the whole book is freely available online. It’s a good read! 2 Comments on "Eating Wild Food: The challenges, benefits and consequences."